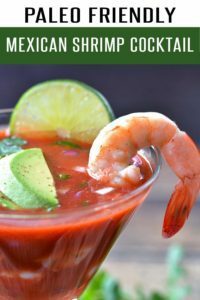 Authentic Mexican Shrimp Cocktail Recipe loaded with shrimp, avocados, lime juice, onions and flavor. Make it spicy and bold or keep it mild. 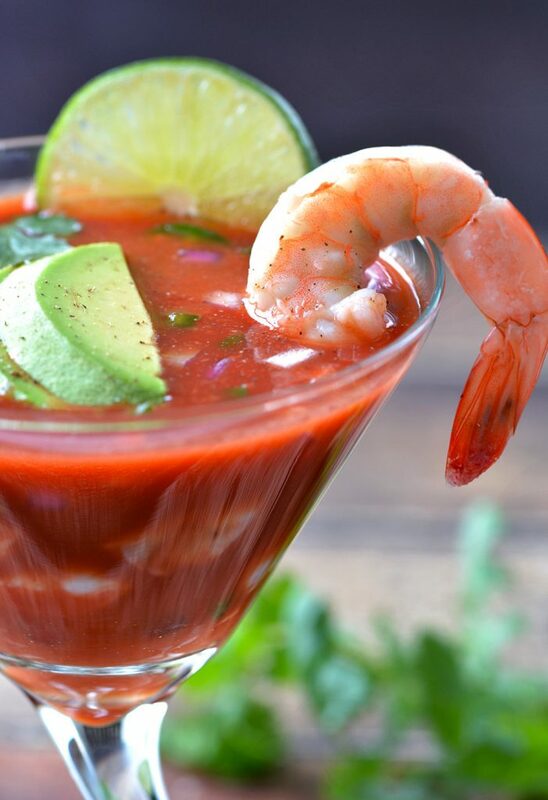 We’re OBSESSED with this Mexican Shrimp Cocktail recipe. 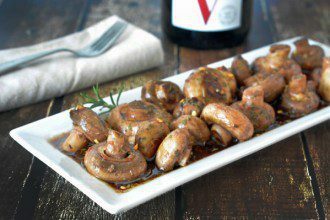 We tend to OD on it come Spring and Summer because it’s so easy to make and doesn’t require the oven or grill. 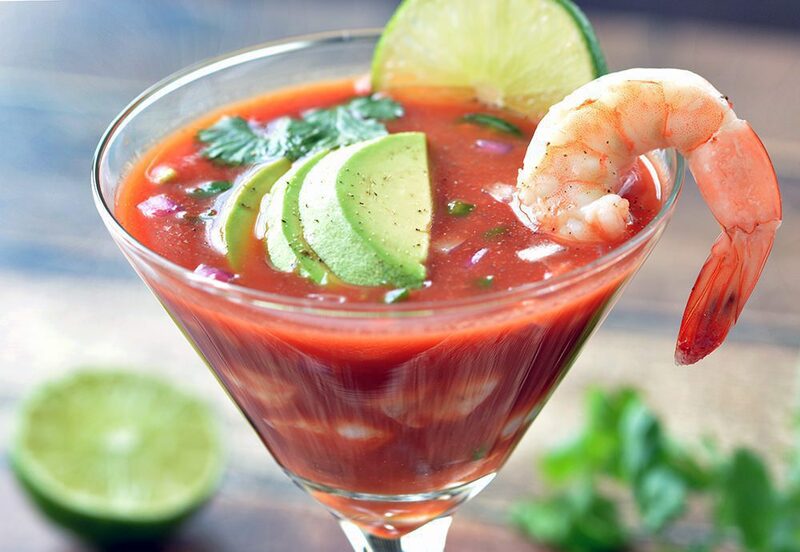 This Mexican Shrimp Cocktail recipe is loaded with all our favorite Mexican Food Flavors – avocado, onion, jalapeno and lime! For Cinco de Mayo, we’re serving this Mexican Shrimp Cocktail with our Grilled Steak Tacos. Make sure to check out all of our Mexican Recipes for your bash. This is not a Mexican Ceviche recipe. There isn’t enough lime juice to “cook” the shrimp. Therefore, make sure you used cooked shrimp in this recipe. Nobody wants to be hunched over the toilet on Cinco de Mayo! You can use regular V8 Vegetable Juice or Spicy. We like everything with a kick, so we go with the spicy version. We do forego the tabasco sauce since the spicy V8 is enough of a boast. Any size shrimp will suffice, but you’ll need to adjust the recipe accordingly. The called for amount is for large size shrimp. You’ll need to almost double it if you’re using small shrimp. 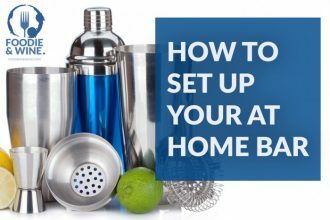 This is not a “make ahead” Mexican Recipe. 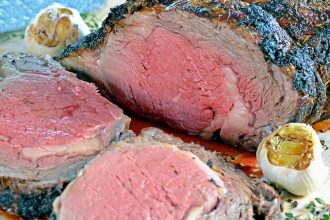 You want to make this fresh, on-demand, so nothing is soggy. 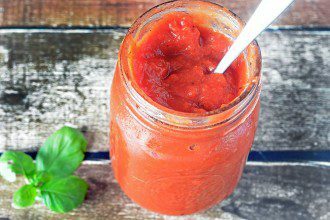 21 Day Fix Edits – To make this a 21 Day Fix Recipes, replace the Vegetable Juice with diced tomatoes. Or keep the juice and count it as a purple. Add the avocado, onion, jalapeno and lime juice to a medium size bowl and stir. Slowly pour the V8 juice over the shrimp mixture until you've reached your desired consistency. Use 1 can if you prefer less "cocktail sauce."